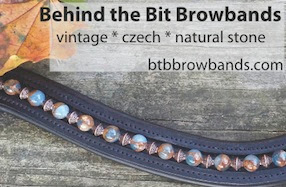 Behind the Bit: Coming soon to a hunter ring in the U.S!!! Coming soon to a hunter ring in the U.S!!! Sven Rothenberger purchased this colorful stallion for his wife, for Valentine's Day. Very romantic -- however, the couple later realized that the horse would be too small for them (they're both very tall), and they've apparently sold him to someone in the U.S. who plans to show him in the hunter ring. Who has scoop on this colt? Where is he? Nein, er hat sich nicht im Schnee gewälzt (auch wenn davon immer noch genug liegt), sondern er ist so auffällig gezeichnet: Fürst Farbenfroh heißt der bildhübsche Braunschecke, den Gonnelien von Sven zum Valentinstag bekommen hat. Geboren wurde der jetzt 4jährige bayrische Hengst von Fürst Grandios ( Fürst Heinrich x Argentinus) x Rubinstein I am 6.3.2006 bei Herrn Schwarz in Moorenweis, und schon als Fohlen wurde er mit einer Gold-Prämie ausgezeichnet. Schön, einen solchen Hingucker im Stall zu haben! "A horse for Valentine's Day"
No, he has not rolled in the snow (although it is still enough), but is drawn so striking: Prince Colourful is the very pretty bay pinto, the Gonnelien by Sven has got for Valentine's Day. Was born of the now 4 years old Bavarian prince of Stallion Grandios (Fürst Heinrich x Argentinus) x Rubinstein I, on 06/03/2006 Mr. Schwarz in Moorenweis, and even as a foal he was awarded a Gold Award. Beautiful, such a catcher in the stable to have!" Here he is at an inspection/approval (think I've shown this video in a previous post). FarmWife states that he is a gorgeous animal. His color is the icing on the cake. I, Fenway Bartholomule, state that he is a horse, not a mule. Perhaps he would make a good sire, though, for a someday hinny? I love his colors!! What a beautiful boy. Pretty fancy stallion. How big is he?? He might make a great pony stallion.